YouTube/ I Am IncorrigibleStewart Jackson. A senior Brexiteer called the stepfather of a hospitalised child a “pathetic cretin” in a bizarre Twitter outburst. Hobley told Jackson to apologise on Tuesday afternoon. “I am calling on him to apologise today, not for me, but for both my family and the tone of political debate in this country,” he said. 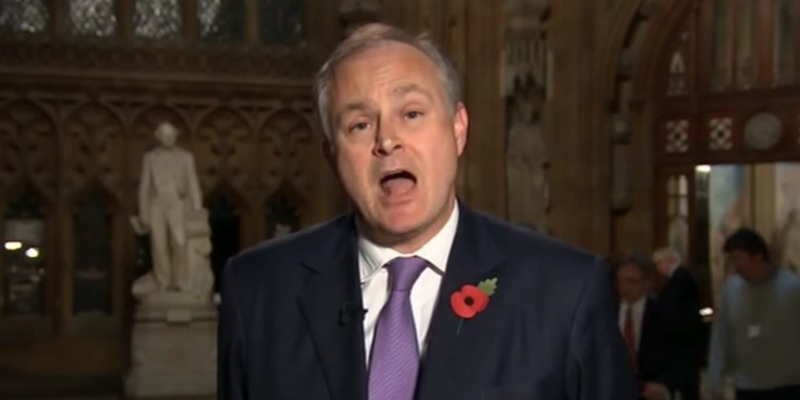 Stewart Jackson, an ex-Conservative MP who was later a special advisor to Davis during his time as Theresa May’s Brexit minister, has been told to apologise by MPs from parties including his own for his Twitter outburst. 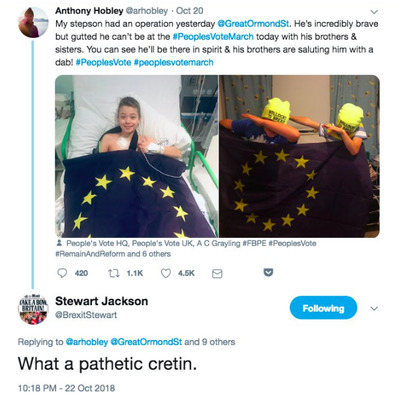 Jackson tweeted “what a pathetic cretin” to Anthony Hobley, CEO of think tank Carbon Bubble, who tweeted a picture of his stepson in a hospital recovering from surgery and holding an EU flag. Hobley said his stepson was “gutted” that he was not able to attend the recent People’s Vote march last Saturday, which called for another referendum on Brexit. He explained that his stepson had not been able to participate in the People’s Vote march due to a broken collarbone, and that his tweet was “a sweet gesture to make him feel involved” in the protest. 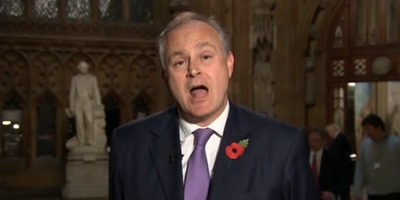 He added: “Whatever our views on Brexit we need to talk about the problems of Brexit and the case for a People’s Vote by debating the facts and issues, not with schoolyard abuse. “Not what most decent people would do,” he added. MPs from across the political spectrum publicly condemned Jackson’s outburst and called on him to apologise. Huq was referring to remarks that Tory MPs unhappy with May’s handling of Brexit made anonymously in newspaper articles published over the weekend. Staunch Brexiteer Steve Baker said the Conservative MPs who used these words had “thoroughly disgraced” themselves and called for the whip to be removed from them. Labour MP Yvette Cooper described the remarks as “misogynistic” and unacceptable.